The old German "main" dock was located about 3/4 mile south of the current dock. And I agree with you that the AE photo was taken from the center dock. But that dock is not the old German dock circa early1900's. The remnants of the old dock described by the PIM article about the royal visit goes out into deeper water-40 to 60 feet at dockside. The azimuth points across the lagoon at 311 degrees true. You can see this on close up using the 2014 GE image. The underwater pilings over 120 years old are still visible and show the orientation of the old dock. 311 degrees intercepts land across the lagoon 16 miles away. The 235 degree intercept of the existing dock and it's earlier 1936 version is at 9 miles. The AE photo could not have been taken from the old german dock as the earth curvature hides any land features at 311º/16 miles. The 235/9 mile intercept, does show the upper portion of the land/vegetation. That is shown in the AE photo. I'll post a closeup of those dock pilings from 2014 GE later on. Here is that 2014 GE close up of the old dock pilings. Wooden above water but concrete below the water. A 1978 environmental impact statement made note of the long lasting pilings. It was an alternate site under consideration in 1978 for the subsequent dock refurbishment done sometime in the 80's. The Oceania and the Germania both blue water merchant ships served Jaluit with passengers, cargo, and mail in the early 1900's. The ships required the 40-60 feet at dockside. The much smaller pier built by Reimer for the Japanese in 1936 was in shallow water 15-20 feet and never had large vessels dockside. Larger ships off loaded from anchor further out in the lagoon. In the AE photo, the Koshu Maru stands away at anchor in the lagoon. The Pacific Islands Monthly article tells the tale. The Japanese visitors used the old German pier in the 1935 visit. The AE photo could not have been taken there because of the distance to land, looking straight away from the pier, is too far; land/ trees hidden by earth curvature. The circumstantial evidence continues to mount that the ONI photo is authentic; i.e. taken in 1937 after a new dock was built by the Japanese (Marshallese- Remier's oral history) and jutting out into the lagoon some 90º counter clockwise to the old German main dock used by the Japanese royal party in 1935. No land can be seen when looking directly out from the old dock. But land can be seen from the "new" 1936 dock. Evidence gathered by R Martini and others indicate the positive identification of the Koshu Maru in the photo and that the ship was at Jaluit in mid July, 1937. While the evidence does not prove absolutly that Amelia and Fred are in the photo, it does prove that the dock photo was taken after the 1935 Japanese royal visit. While the evidence is not absolute, it could lead one to think the debunk evidence- the 1935 travelogue- could be subtrafuge planted decades ago by criminals attempting to hide all evidence of crimes. Kidnap on the high seas is a crime.Once the aircraft at Orona is recovered, more evidence will be available. Unlike other Japanese capture theories- Amelia was not a spy; the Orona theory postulates that the fliers were taken in order to facilitate a hoax spy mission by the Japanese Army in order to move the Japanese Navy to a first strike strategy-strike Singapore and Pearl Harbor. The mental condition of perceiving the human face or other known object in an otherwise random image is termed pareidolia. Scientist call perceiving a face or object in a cloud formation, the random pattern of a tree bark, etc. normal. And it’s quite normal to say “that looks like Abe Lincoln’s face” while observing a large cloud. But “looking like” and “measuring exactly like” are entirely different. Pareidolia is often used to discredit the Orona image. But taking and recording exacting measurements exactly like the L10E is not imagination. The Google Earth 2006 image measurements, when divided by the water index of refraction (1.33) yield the exacting measurements of the L10E. Using the ray tracing diagram as a tool, the counter argument is made that in order for that to occur, considering that the satellite may be hundreds of miles above the surface of the lagoon, the aircraft would necessarily be thousands of feet below the surface. An impossible condition as the depth is but 35 feet. What this counter argument fails to incorporate is the manner in which telescopic cameras work. The normal configuration of telescopes results in the virtual image focused at infinity. A good way to understand this is the informative site SCUBAGEEK.com. http://scubageek.com/articles/wwwbigr.html. Here scubageek lays out the lens magnification (big M) formula for underwater to air situation that pertains to scuba divers as they observe through the glass of the facemask. It also is applicable to the satellite with the telescopic camera recording the underwater object. Little m is the refractive index of water 1.33. Note that little d is a large value-the satellite may be several hundred miles above the lagoon surface. And because the telescope focuses the image at infinity, D is very large-as large as it can get-∞ (infinity). The formula reduces to M=1.33. It’s how telescopes work. 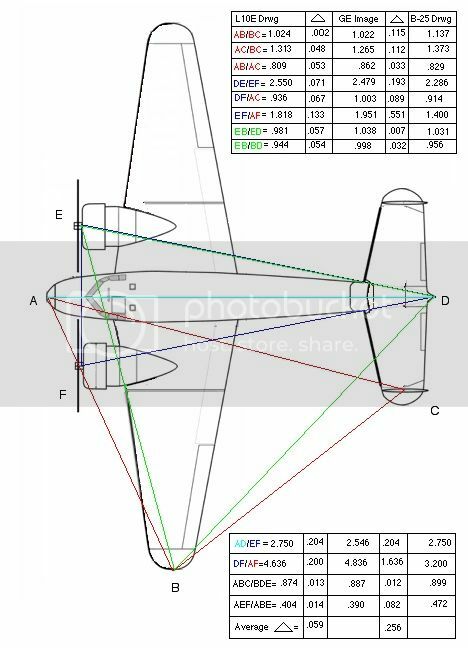 In addition to the GE measurements indicating that the plane is the L10E, a symmetry analysis confirms that the plane is the L10E. The analysis is simple and performed by identifying seven points on the airframe image and making GE measurements between those points; seven points allow 21 measurements (7!=6+5+4+3+2+1=21). 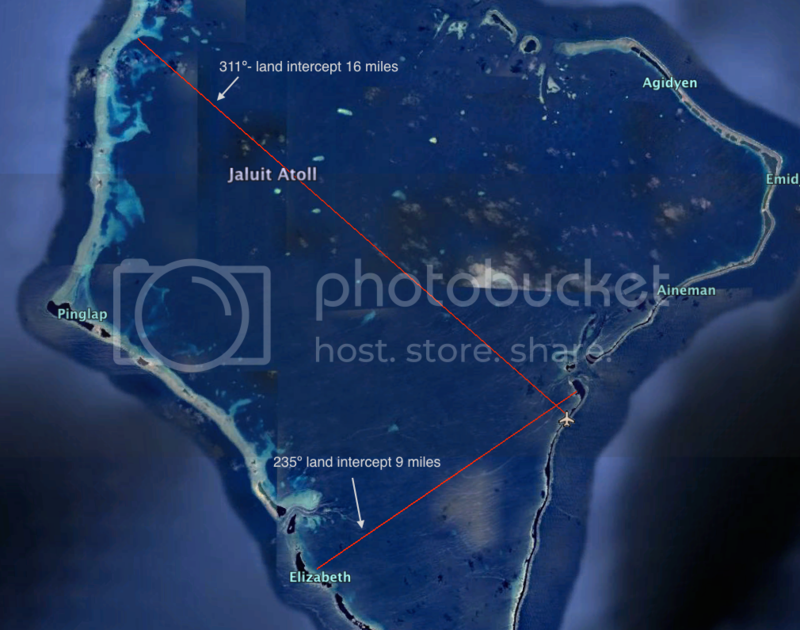 Those seven points A-G are noted on the attached images of the lagoon photo and the L10E sketch (A-F). Similar points are chosen on the overhead sketch/drawing/photograph of the L10E aircraft and the 21 ruler measurements recorded. In both cases, the 21 measurements allow 210 dimentionless ratios to be created by dividing each measurement by all others (21!= 20+19+18+17......+3+2+1= 210). The ratios are dimensionless and thus scaling is not a consideration in the analysis. The ratios are then compared; photo vs L10E drawing. In most cases the ratios are the same within a small margin of error; about 5% average. A few of those ratios comparisons are shown on the attached sketch image. Some are exactly the same while a few are off enough to result in the overall 5% average difference. This is expected as the airframe does not sit squarely on the lagoon bottom as it does in the overhead view while the aircraft sits on the hanger floor. The number of equavalant ratios can be increased by identifying additional airframe components and employing those measurements in the analysis; example: add the leading edge of the windscreen and the total number of matching ratio comparisons increases to 377. In my Dec 7 post, I failed to mention that a professor of optic science at one of the nation's leading universities has verified the magnification of M=1.33 for this type of satellite/underwater photo. I had a e-mail conversation with him in June 2017. The short video clip here https://youtu.be/GqiaPnCkEow shows Amelia, George, and Paul Mantz checking and loading stuff for the world flight. Midway through, George carries the raft into the scene. Paul and Amelia unzip the carry bag and Paul pulls the raft from the bag. Paul, a man of slightly less than average height, hoists the raft with arms outstretched, above his head to a height of I guess of 6' 4". He grasps the raft a few inches from the extreme end. So maybe the extreme of the raft is 6' 6" above floor level. As the raft unfurls about 1 1/2 feet remain on the floor- my guess. So overall the interior length is near 8'. We can't tell what the inflated length would be as the perimeter float doesn't unfurl. This is a two man raft as opposed to the single person raft Amelia is pictured with on her Vega/Atlantic flight. When the Google Earth ruler is used to measure the raft (my subjective interpretation) in the 2006 Orona image, the result after dividing by 1.33, is 8 feet for the interior dimension. Also note that Amelia's travel case is on the bottom of the pile and mostly hidden in the film. A brief camera flash highlights the design theme of vertical stripes. It lies on the side so that it is difficult to see. It has been suggested on another discussion forum that perhaps the two light skinned persons in the Jaluit dock photo are Willard and Mary Price. The couple traveled the world and lived in Japan for several years in the middle thirties, visiting several Pacific island groups. But the travelers would have had several luggage pieces for each person and dress in accordance with the times; if awaiting or just having arrived by boat they wouldn't be separated as shown in the dock image. Mary probably had longer hair and both would have had sun protection; hats and parasol. The dock photo shows two persons in a distressful and tense atmosphere. The clothing is not conventional travel attire. The two are obviously kept apart by the Japanese secret police who pose as "fishermen" and who claim to have rescued them. The doctor looks directly into the camera. Amelia's small travel case sits on the dock; the only luggage to be seen. The excitement of the news media over the bones analysis by a respected source using flawed data has run it's course and the bones idea seems to have retreated to the cemetery of proofs not overwhelming. The AE mystery investigation seems destined to sleep until another multimillion dollar search ensues...most likely a deep ocean Howland island search. It could be years away. But this is a good time to consider what might be required to visit Orona. Two and half years remain on the restrictive agreement between the RoK and the Nikumaroro research group. I envision a cooperative effort between a investigative group to do the actual search and discovery and a restoration museum group. The museum is required to recoup the overall expenses of the project over a long period of time. Amateur groups must be avoided in order to protect the history study and the integrity of the airframe. In this respect I think that Pacific Wrecks and the Pacific Aviation Museum at Pearl Harbor would make a good team. Both have the fund raising setup required for the task. Similar pairings might be found. Yet convincing each to enter into discussion about the project is beyond my meager capabilities. Let's see what the future holds. The AE mystery search and investigation is not over. The flight endurance question is the main reason many can't accept the Orona idea; Amelia said she was running low on gas-how could the additional 400 miles to Orona be flown? The Kelly Johnson papers on endurance for the L10E that Amelia flew indicates 4000 miles in still air given the flight altitudes he prescribed for the flight. A strong headwind is assumed for the entire trip, limiting endurance (distance). But if some feature of the flight were to act to counteract the headwind disadvantage, what could it possibly be. I think that the storm system that lay along the flight path east of Lae, PNG may have provided the extra milage required to fly to Orona. I think the flight entered the area of unstable storm air at noon local time. Some diversion from the straight path was required to avoid the center of the storm, exactly how much that diversion was is unknown. But from noon until late afternoon the unstable air would be primarily strong updrafts in the area of thunderstorms. 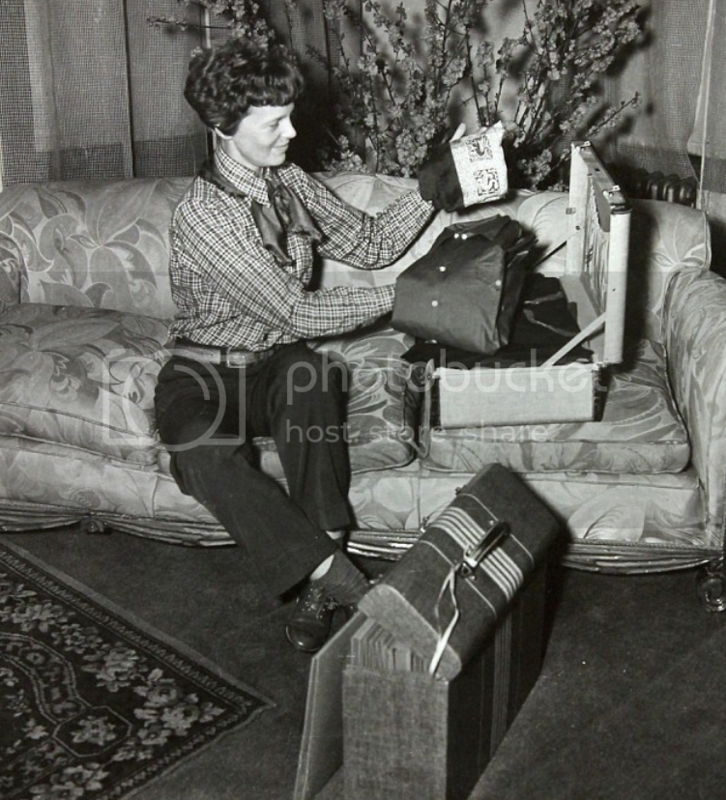 Amelia had experience in updrafts in the American west with her Beechnut aerocopter as well as her other flying with the Vega and the Electra. 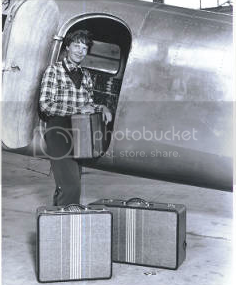 She knew the Electra had a strong wing box construction and wouldn't be harmed by the strong updrafts. With a glide ratio of (my guess) ten (horizontal) to 1 (vertical), the storms provided good miles per gallon in a critical heavy loaded period of the flight. These saved gallons paid off in the final hours of the flight when milage was excellent because of the light load. The flight exited the area of storms near dusk as the unstable air turned to mostly downdrafts. One of the most significant clues that the image points to Japanese capture is the close proximity of the raft and airplane; indicating both went to the bottom together. The raft measures 4' X 8' indicating a two man raft as would be expected. The image analysis of the raft is even more simple than the aircraft: two opposing perfect hemispheres connected by a short straight section. The Japanese pirates knew the Navy search had started 500 miles north of Orona but would soon be closing in on the Phoenix group of islands. The pirates knew they must scuttle both immediately to avoid detection and this image is the next best clue of Japanese capture. The actual evidence will be documented when Marine archaeologists SCUBA to do the in-situ investigation. Several of the images on pages 3 and 4 are not showing up. I am checking to see what has gone haywire. 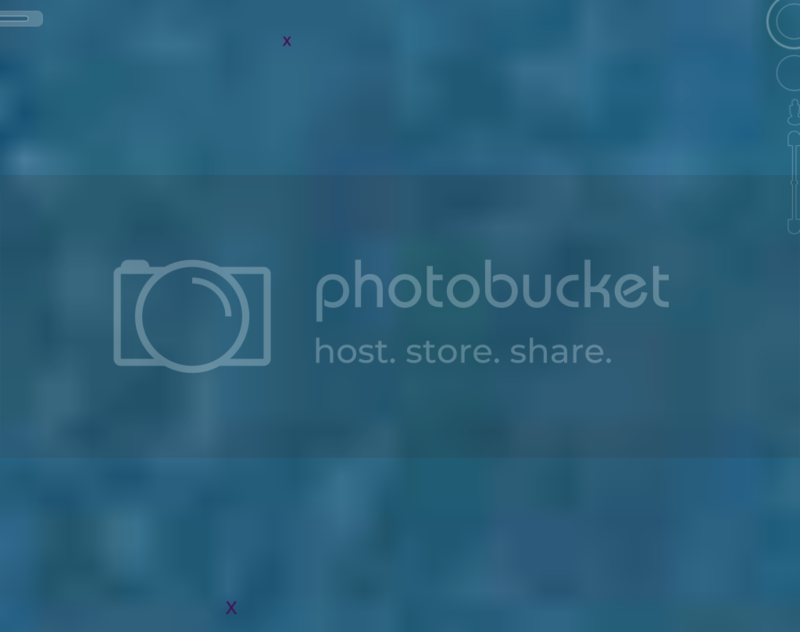 Photobucket is having problems. 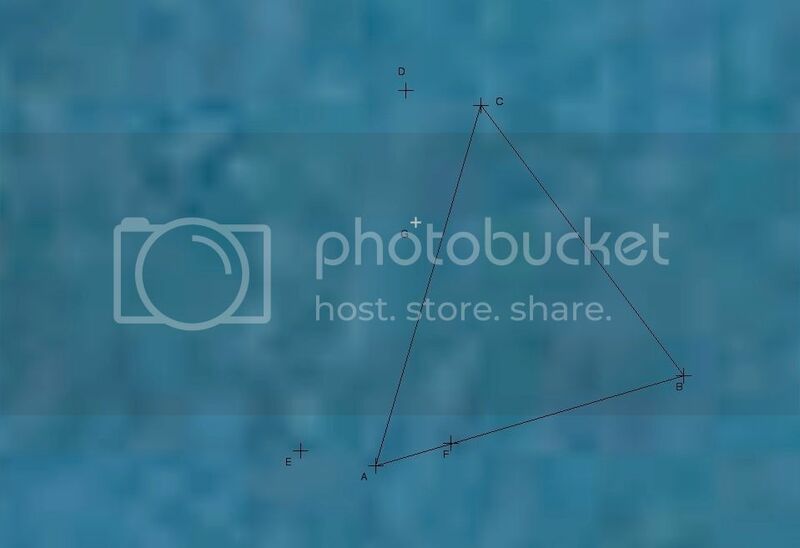 No Photobucket users have access to their photos at this time. 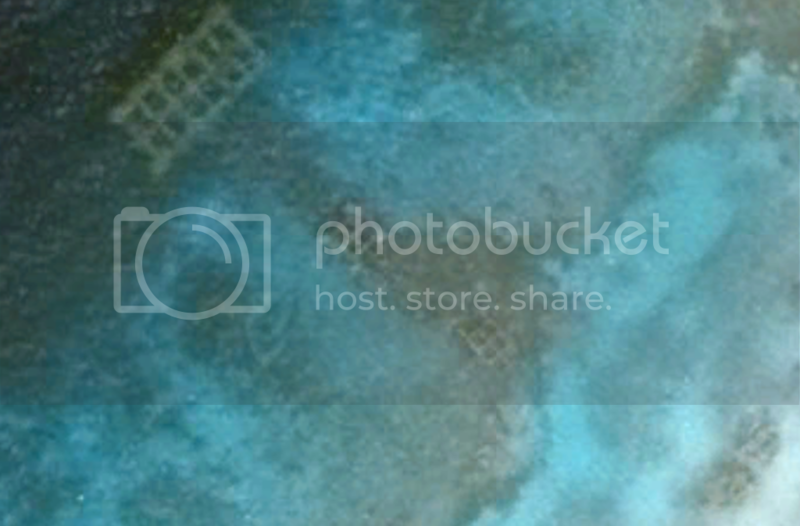 Photobucket is now running ok. The subscription policy there is changing and confusing. Users with lots of photos that use up a lot of bandwidth will have to start paying (up to $400 annual for the large data base). Using only a tiny amount of space, I haven't received a warning yet about paying. But the policy now is if a users photo is posted to a third party- as we do here-we have to pay. Hmm may have to find an alternative if so. The Nikumaroro research group has recently declared the Amelia Earhart mystery "case closed" with the post loss radio messages analysis sealing their conclusions. But the entire subject is still discussed at the groups website. The mainstream media, as usual, has swallowed the bait and published the "news" without investigating counter arguments. Bill Snavely's Buka Island--- "Buka wreck might be Amelia's"---is in the news again. The location has been known for some time. We wonder why Bill didn't get Bent Prop /Project Recover group to take an interest? Or this Pacific Wrecks? Could be a US WWII aircraft...or is it Amelia's. Most (Aviation Mysteries, etc.) wonder why not simply measure with a tape measure to get aircraft ID? Of course measuring with a hand held tape measure inspires a great deal more confidence than a satellite measurement from an image taken hundreds of miles above the earth. This new technology- so new the thinking goes- is only used for unimportant military stuff like identifying missiles in enemy territory, etc. Hundreds of articles have been written about other AE disappearance ideas- but no real proof has been found to substantiate these theories. Yet the Orona idea has zero news articles; the idea has the only clue about the disappearance that everyone can examine. Would I ever beg for money in and attempt to prove that the image is evidence. No. After all the other ideas have played out and failed to gain the public confidence that the mystery is solved, the allure of the possibility of Orona, however remote, will remain and eventually be exercised in an expedition of exploration. That future expedition is most likely years, perhaps decades, away.